A study involving a scientist from the University of Southampton, which shows that ensuring continued flood protection for low lying coastal areas may mean sacrificing cliff top communities to the sea, has won the 2012 Lloyds Science of Risk prize for Climate Change research. Robert Nicholls, Professor of Coastal Engineering at the University of Southampton and co-author of this study, says the research – which will be further developed in a new book he is leading, to be launched in Spring 2013 – says that the benefits of protecting our coastline from erosion must be balanced against the impacts of coastal flooding. Professor Nicholls was part of a research team from the Tyndall Centre for Climate Change Research which, by focussing on a 72km stretch of shoreline along the East Anglian coast, detailed the interconnection between the two risks of erosion and flooding and show that in some cases, allowing natural erosion could reduce the impact of flooding associated with rising sea levels. Coastal defences put in place over the last century or so have re-shaped the UK coastline, artificially protecting some areas, but at the expense of beaches in adjacent areas. This man-made situation increases the risk of flooding in low lying coastal settlements where beaches act as a natural flood defence. Beach levels can be artificially recharged, but maintaining this indefinitely along large stretches of coastline is costly and likely to be unsustainable. 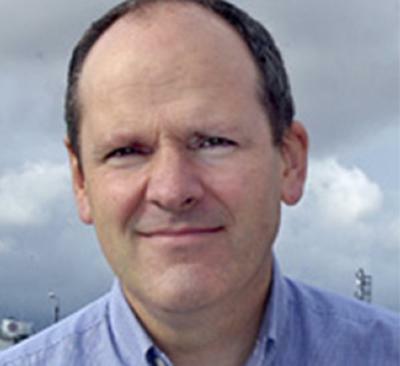 Richard Dawson, Professor of Earth Systems Engineering at Newcastle University and lead author of this study, adds: “Coastal areas typify the environmental challenge our society faces - their beauty and economic opportunities attracts settlement and they include some of our most important ecosystems and most productive farmland. Yet this exposes us to hazards such as erosion and flooding which will be exacerbated by sea-level rise. “Clearly we can’t, and wouldn’t want to, remove all our sea defences, but there are difficult trade-offs to be made in prioritising coastal management measures.